The School of Education is dedicated to preparing knowledgeable, skillful, and caring education professionals for positions in an increasingly diverse, technologically situated society. Please review our mission and vision, learning outcomes, and professional dispositions, which characterize our shared goals, values, and commitments. In addition, our Special Projects Office initiates and conducts various K–12-oriented activities with education groups both on and off campus. 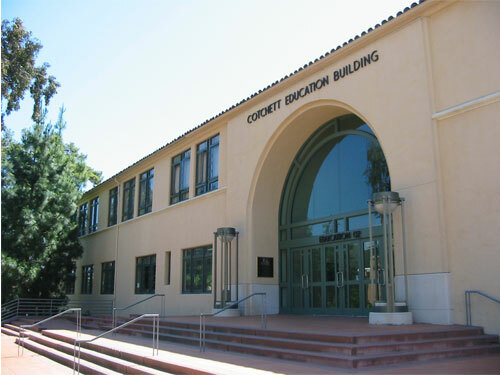 As part of the College of Science & Mathematics, the School of Education leads the campus in an all-university approach to professional education. Education faculty and content faculty from the colleges of Agriculture, Food & Environmental Sciences, Engineering, Liberal Arts, and Science & Mathematics collaborate to develop and offer our academically challenging programs. We also have strong partnerships with local schools, community colleges, and education agencies, as well as state and national organizations. Our credentials and graduate degrees include a math and science education theme that provides a context for preparing teachers, administrators, and counselors. We also actively work with colleagues in the Center for Excellence in Science and Mathematics Education (CESaME) to bring together faculty with interests in science, technology, engineering, and mathematics (STEM) for research and outreach projects that extend throughout the campus and into the community. Please explore the links offered here to learn about our programs. If you have questions or need additional information, contact the School of Education at 805-756-2126 or email us at soe@calpoly.edu. Thank you for your interest in the School of Education at Cal Poly.